Nike will be kicking off the month of June with their ACG line. Adding to the lineup with be an ACG-inspird PG 2 that comes highlighted with vibrant colors of the ’90s. Dressed in an Olive Canvas, Obsidian and Light Silver color scheme. This Nike PG 2 features an Olive-based upper paired with Magenta and Orange accents. A speckled midsole, ACG-inspired tongue logo and Reflective detailing on the triangular emblem completes the design. 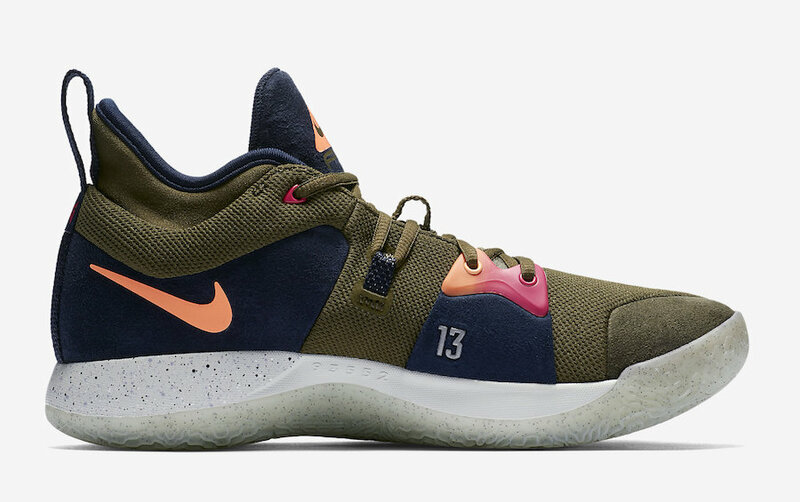 Look for this ACG-inspired Nike PG 2 “Olive Canvas” to release on June 1st at select Nike Basketball retailers and Nike.com. The retail price tag is set at $110 USD.